The Virginia Mann Group is a fully integrated boutique marketing communications and public relations firm serving a broad range of industries. Virginia Mann and her team provide strategic counseling, development, management and implementation of the full-range of corporate communications, marketing communications, public relations, social media communications and public affairs functions to a variety of clients. Current and past clients include: Astellas Pharmaceuticals; Chicago Veterinary Emergency & Specialty Center; Diversified Real Estate Capital; Lou Malnati’s Pizza; Markel; Topco Associates LLC; United Airlines; West Loop Veterinary Care; and others. The Virginia Mann Group also has a subsidiary company, Veterinary PR, which offers services to those in the animal health and welfare industry. An award-winning industry leader, Virginia served as President of the Public Relations Society of America Chicago Chapter for 2018 and is a current board member; is a former board member of the International Association of Business Communicators Chicago Chapter; and regularly teaches courses in public relations and public speaking at Loyola University Chicago. Her broad experience includes in-depth work with blue-chip, Fortune 500 consumer products companies, nonprofit organizations and small- and medium-sized businesses. Virginia's experience includes a variety of industries and a strong background in consumer products, pharmaceuticals, transportation, human medicine, manufacturing, real estate, insurance and veterinary medicine. With a degree in economics and a background in investor relations, Virginia offers clients a solid understanding of business and financial matters. Virginia’s team includes experienced professionals who offer clients the full-range of expertise and service of a large agency, but with the personal touch of a boutique firm. Virginia’s team members generally bring more than 10 years of experience to client work. Many of them have worked with Virginia for more than 10 years, creating a sense of continuity for clients. 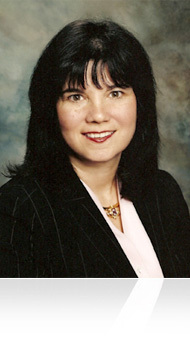 Prior to starting her own firm, Virginia served as: Director, Corporate Communications for Topco Associates; as a lead on the internal communications team for Hewitt Associates; Manager, Public & Financial Relations, Brunswick Corporation; Department Director, American Academy of Orthopaedic Surgeons; and Senior Regional Manager, National Association of Manufacturers. Virginia began her career with former Illinois Secretary of State Jim Edgar. She is a graduate of Barat College with majors in Economics and Political Science.